Well, seems like that dedicated courtside support is finally paying off. Drake and Serena Williams are rumored to be dating and, according to TMZ, were spotted "making out" at a fancy Cincinnati restaurant. The website reports that the pair was spotted in a private room at the eatery a few hours after Williams won the WTA Tournament in the city. Several patrons at the spot supposedly told TMZ the two were all over each other. And, although blurry, the photos do look like they were talking mighty close to each other's faces. 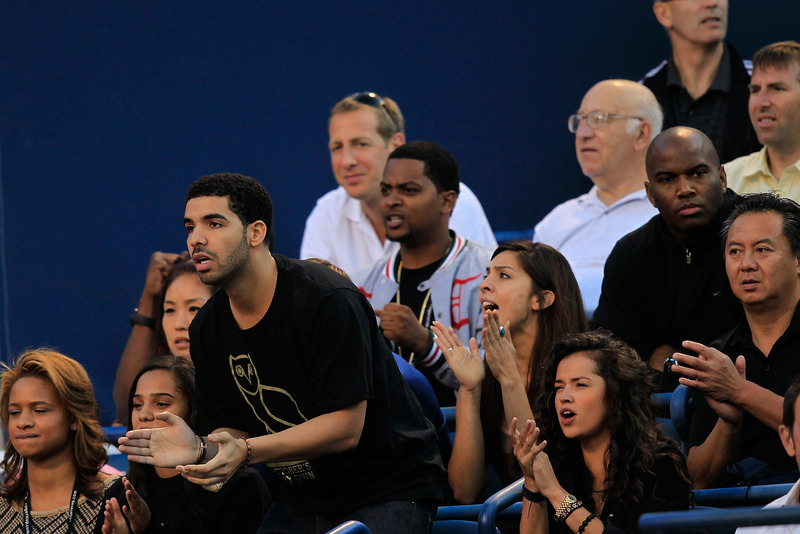 Obviously, this begs the question: Are Drake and Serena Williams actually dating? This is not the first time the two have been linked. Rumors of the rapper and tennis champion being friends — and being a little more than that — started as early as 2011. And lately, with his courtside appearances, it definitely seems thatsomething is going on. I decided to do some Internet sleuthing and look into the history of Champagne Papi and the Queen of Tennis to find out what's really going on. I really, really love and care for Serena Williams. She’s incredible. That’s someone I’m proud to say I know. She’s definitely in my life and I’m in her life. It’s great to watch her play tennis. Very impressive. Based on the video above and the most recent photos, Drake and Serena Williams just might be moving out of the friend zone. We'll have to wait and see what happens!